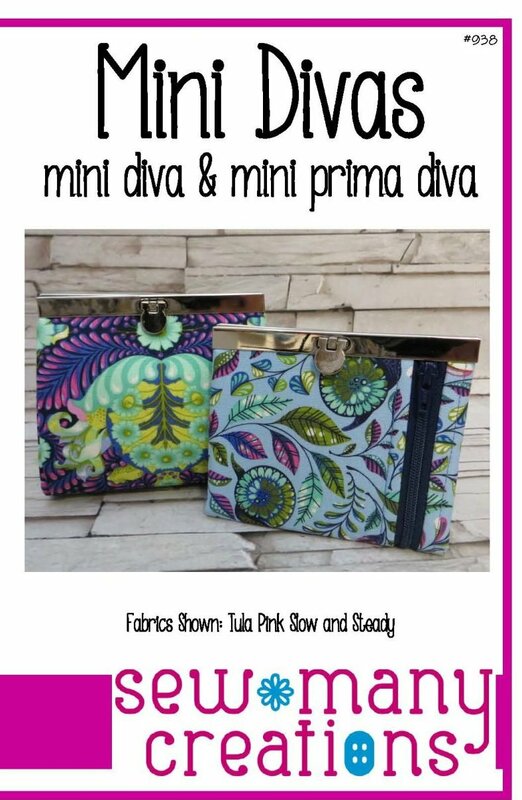 Pattern includes instructions for BOTH the Mini Diva & the Mini Prima Diva wallets, and uses the 4 1/2" metal Mini Diva Wallet Frame (frame not included). One version has slots for paper money & credit cards, and the Prima Diva version has more room, more compartments and a handy zipper pouch. Wallets measure 4 1/2" wide, a perfect size to fit in your favorite purse of Diva Frame Bag.